The new Uniqlo x J.W. Anderson is out and as ever, there are a few things in there that look high end, but come in at a budget price. The Uniqlo x J.W. 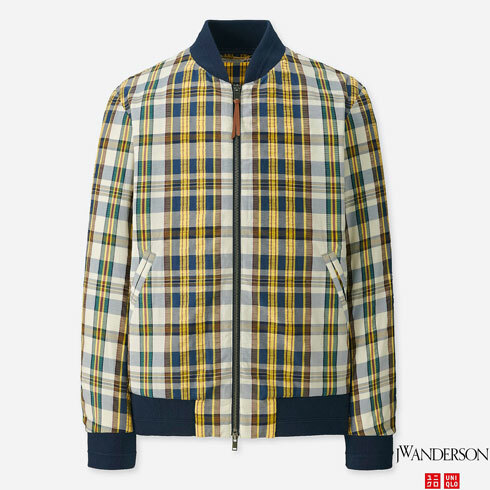 Anderson seersucker bomber jacket is my top of my list. 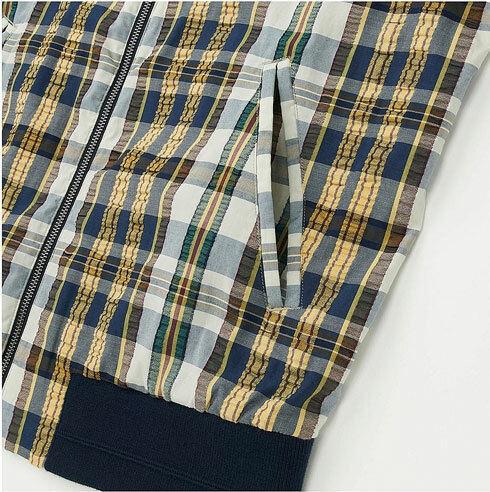 It looks every bit an original ivy league design, which is the appeal here. 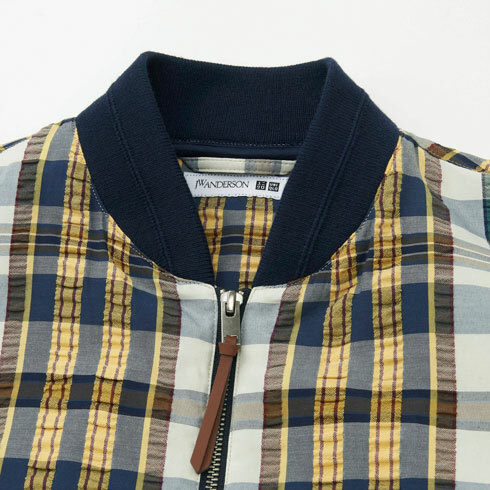 The vintage-style seersucker material obviously helps when it comes to appeal, as does the fact that it uses the timeless ‘bomber jacket’ template to great effect. Combine the two and you have something that’s perfect for the spring and summer. Under £60, but looking a lot pricier. 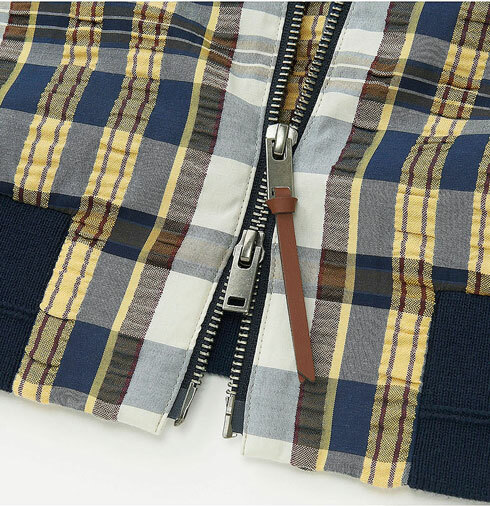 Some nice details help on that front, like the leather tag on the zip for example. There is a plain blue version on the site too, but this one is the real winner. Especially when the price is £59.90.